Very few business owners are driven solely by profits. In order to withstand the ups and downs of entrepreneurship, leaders must rely on the powerful emotional cues that got them started in the first place. For many entrepreneurs, focusing on profit alone is not enough to push through hard times and achieve success. 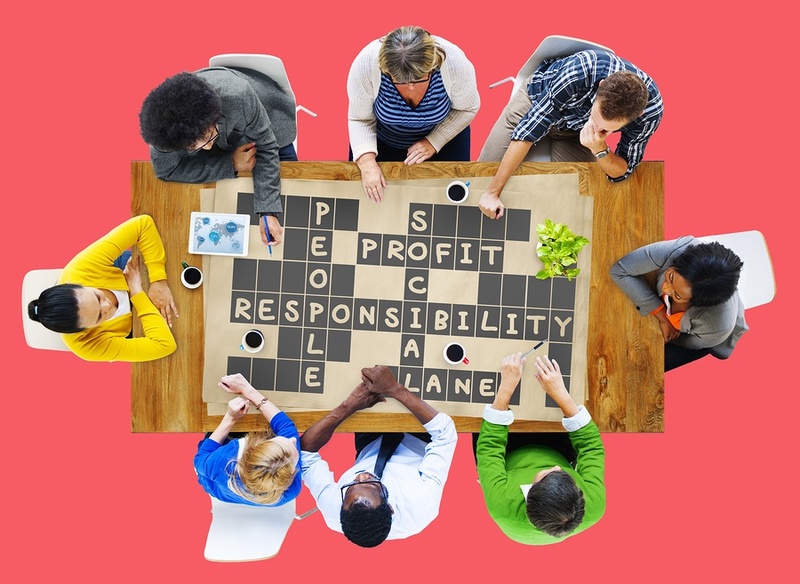 It’s their social responsibility to their community, customers, employees, and stakeholders that keeps them afloat. In March 2015, The Alternative Board sought to measure the impact of social responsibility on the success of varying businesses. Through a Small Business Pulse Survey of 350 business owners, TAB discovered that having a social purpose can create a competitive advantage for businesses. A deeper analysis of the survey results revealed how and why. What is a socially driven company? According to the survey, a socially driven company is one that is built around positively contributing to society. Despite common misconceptions about socially-driven companies only existing for the greater good, most are profit-oriented businesses where owners manage their businesses to achieve results. When respondents were asked how their businesses fared against the competition, 48% of socially driven companies saw their business as being ahead of the competition, compared to 38% of their counterparts. On the opposite end of the spectrum, only 5% of socially driven companies described themselves as feeling like they were behind the competition, compared to 12% of their peers. Companies that focus on being socially driven feel that they are at a competitive advantage compared to their competitors. Socially driven companies are more optimistic. Socially driven companies exhibit stronger personal vision. When socially driven owners were asked how they would rate their company’s vision and sense of purpose, 19% selected a 10, while only 5% of other owners selected the same rating. Other owners were generally more likely to select a 7 or 8 for the strength of their company’s vision. Establishing a strong personal vision is a key factor in devising a strategic plan, a critical tool for business success. A previous survey from TAB concluded that 91% of business owners could increase their revenues by using a strategic plan. “With a strong vision and accompanying plan, business owners are better positioned to seize the kind of opportunities that can increase sales, revenues, profits, and lead to further opportunities,” Scarola adds. Socially driven companies incorporate their community. Socially driven companies put people at the forefront of their business – a proven driver of success. 45% of the businesses surveyed saw their companies as a fixture in the community that they served, compared to only 16% of other businesses. Both of these elements play an important role in increasing your business’s bottom line. According to the survey, 85% of socially driven companies strongly agree that their business pursues win-win relationships with employees, customers, and other key stakeholders. A recent Harvard Business Review survey on “The Impact of Employee Engagement on Performance,” revealed just how important a high-performing workforce is to the growth and survival of any business. When employees feel respected and involved they are likely to contribute a higher level engagement, meaning increased productivity and decreased turnover. This is a huge competitive advantage for any business in any industry. TAB’s January 2015 survey on what business owners wish they had done differently revealed that 80% of survey respondents wish they spent more time developing customer relationships than developing new products and services. Fostering an authentic relationship with your customers builds long term loyalty and unleashes the power of referrals. More socially driven companies strongly agree that they listen closely to what their stakeholders think of them (68%) than other businesses (55%). This is an important relationship to foster. Working cohesively with external partners can result in many revenue-generating benefits, such as reduced capital from lenders and lower costs from vendors and contractors who enjoy working with your business. With optimism, vision, and a sense of community, socially driven companies continue to pave the way for innovation. By establishing the greater purpose of “positively contributing to society,” they find themselves better equipped to face the many challenges of entrepreneurship – planning, managing, selling, and simply staying positive from day to day. 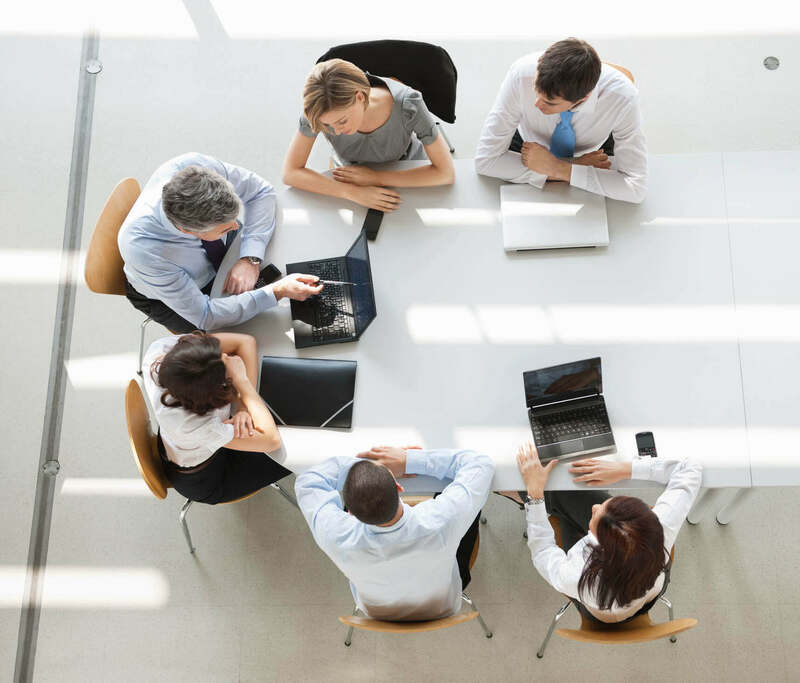 The Alternative Board’s peer advisory model fosters a unique environment of community and encourages its members to do the same.